Check out our sources for American made socks too! American manufacturing is alive and well in Colorado! Allow us to introduce SOM Footwear, shoes designed to serve your feet well during everything from walking the dog to crossfit! The shoe's minimalist, zero drop design gives you the freedom and stability of barefoot walking with all the protection and support you need. SOM just introduced the all-new Briquette – available in red, blue and purple. This eye-catching addition to the SOM Footwear line encapsulates everything that makes SOM a standout American footwear company: unwavering attention to detail and superior craftsmanship throughout, three vibrant colors to choose from and the all-new SOM sole which is also Made in America. Handcrafted with love in Colorado for the discerning customer; SOM focuses on making a quality product right here in America, and backing it up with out of this world customer service. From the boardroom to the backcountry, SOM wants to keep you happy, head to toe. Capps Shoe Company is 100% made in USA in a factory located on the border between Virginia and North Carolina in Gretchen, Virginia. The company has over 175 employees with an average shoemaking experience of over 12 years – its skilled craftsman are among the most talented shoemakers in the world. 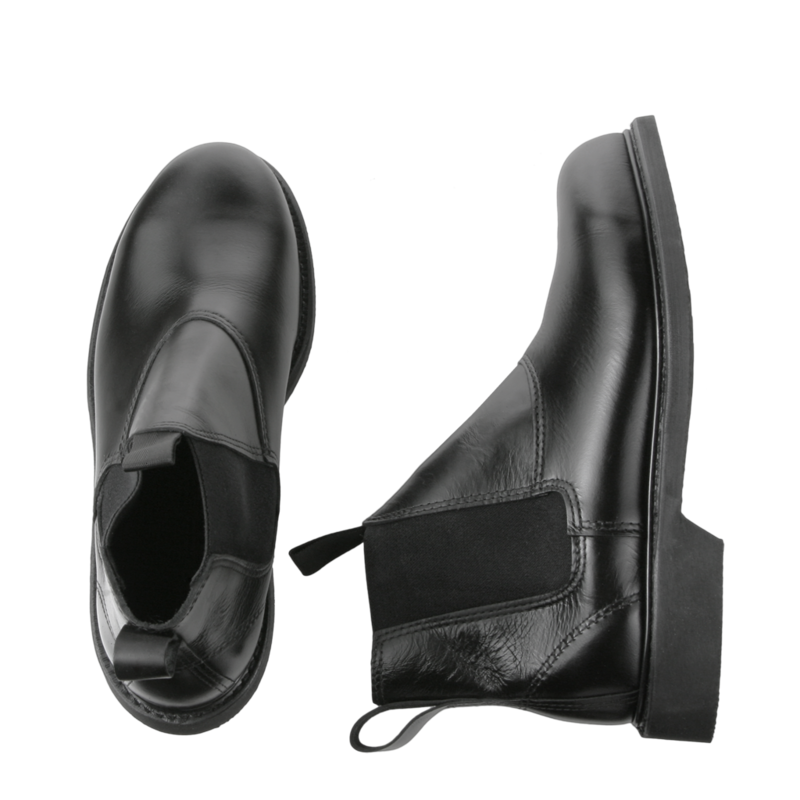 Capps footwear is approved for use by the Army & Air Force Exchange Service, Nexcom, and the National Park Service, as well as Police, Sheriff and Fire Departments nationwide. 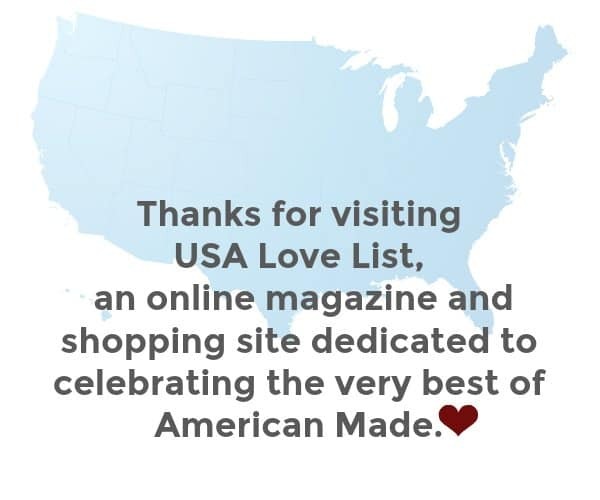 If you notice that we have missed your favorite American made shoe brand, please let us know in the comments and we will add them to our list! This list is constantly being updated, so bookmark and check back often. If we missed a source you love, post it in the comments so we can include it with our next edition. All American Clothing Co. is an online retailer of men's fashion including boots from Thorogood. Body and Sole Comfort foot cushions use medical grade, petroleum-free gel to contour and adhere directly to your foot’s unique shape. These cushions stick to the skin to provide a personalized level of comfort not felt with drugstore shoe insoles. Save 20% off with code USALOVE. Calleen Cordero women's shoes are made in California. Earth Runners Sandals makes eco-engineered Earthing Adventure Sandals, made in California. Have we missed anything on this list of American made shoe brands? Which is your favorite? Share other Made in USA shoes brands with us. If you're looking for American made shoe insoles, we recommend Body and Sole Comfort foot cushions which use medical grade, petroleum-free gel to contour and adhere directly to your foot’s unique shape. These cushions stick to the skin to provide a personalized level of comfort not felt with drugstore shoe insoles. The popular Lily Pads work best on the ball of the foot, top of the foot for lace or buckle discomfort, and around bunions. Each package includes two Lily Pads and a storage pouch. Save 20% off with code USALOVE at Body and Sole Comfort. 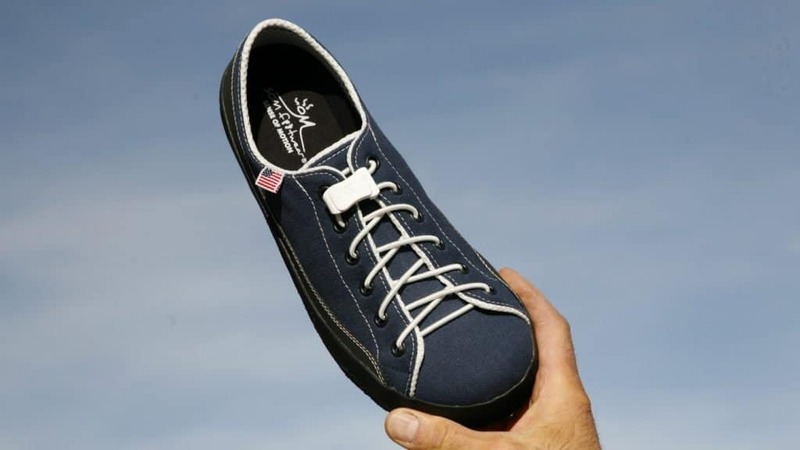 To make your American made shoes even comfier, try Piggy Pillows' flip flop insoles or American-made soft gel foot cushions from Body and Sole Comfort. And don't forget socks. Here is our guide: Made in USA Socks: The Ultimate Source List. OkaB is an off shoot of Okabashi.Okabashi sandals are amazing. They sound ucky because they are plastic,but they have an orthotic type footbed and are incredibly comfortable. Just know the different styles fit a little differently so you may have to try a few to find the perfect fit. Those Slogger rain boots are adorable. J&M are made in China and Brazil (more China now). They used to be my go – to but the quality now they are predominantly china is horrible. Correct, Ben. Johnston & Murphy shoes are NOT made in the USA. We recommend Allen Edmonds, or Alden, instead. I’d like to add the Danner boot company. They’ve been making some of the best outdoor footwear in the world in Portland OR since 1932. I own several pairs of their boots and they built using stitch down construction and are resoleable by Danner. Not all their boots are made in the U.S.A. but the ones that are have an American flag emblem stitched on the exterior of the boot. Thanks, I’ve signed up with your site and look forward to participating in the future. Your posts pertaining to Johnston/Murphy are not entirely accurate! Their premium line is made in the US and are priced accordingly. Boston Boot Company makes some of their boots in the U.S.A. Thank you for the list of those USA makers. I also would like to add the company AETREX to the list of USA shoe makers. And these shoes are amazing! New Balance shoes are made in China also. At least the last couple of pairs I had were. People should look at the store ‘s website. I have also found shoes made in Italy here. Nothing against Italians, love their food. Just trying to keep Americans employed. “Mostly” is correct. The owner of New Balance stated he wanted to keep all of the production in the US as it had been since 1906 but they just couldn’t compete with the other major companies who had never made shoes in the US (Nike). Still, they make over 4 million pairs of shoes at 3 or 4 US factories. They also make shoes in Filmby, England. The US and UK shoes are pricey but are of fantastic quality and represent NB’s premier collectable editions. Oddly, many Nike shoes are priced right up there as well but are made by Chinese slaves. But NB is a serious athletic shoe company. Nike is much more a marketing company than a serious shoemaker. I wear Born shoes. Awesome quality and comfort. Plus, they are handmade by Chinese slaves. That is important to me. Call me cruel, but its better than forced prostitution. Right? Danner boots are made in Portland, OR. Most of Danner boots are made now in China, and look it. Quality has gone down hill. If you like vynal boots, then buy Danner. SAS Shoemakers has a factory in Acuna, Mexico. Click the link to find the Made in USA lines for SAS. And, of course, always double check the product details before ordering. There are still USA made shoes available and we’re helping you find them. Go ahead, try it! Click the links to see what we found. I am in search of good quality sneaker shoe manufacturers in the US. Do you by chance have any idea pls? I am 70 years old, 6’1″ tall, and since my early teens my shoe size, measured while wearing socks on two Brannock devices, U.S. mens and metric, has been 12C / metric 47. I cannot find shoes for sale in the Tampa, Florida area which fit me. I can barely squeeze into what few shoes I can find labeled size 13. Two factors are at work here: (a) terrible-quality Chinese imports which are about two sizes smaller than labeled; (b) growing customer base of immigrants of Mesoamerican descent in which adult males average 5″ in height, and whose shoe sizes may average what previously was marketed as children’s sizes. Grateful for any information on local sources of U.S. made men’s footwear. Thanks for the tip! They are now on the updated list. Check out our list of Men’s Boots made in the USA too. Dockers are also great shoes made in the USA. Dockers made in the USA? Really? Has Dockers adopted Chines size standards? Check my reply above regarding looking for size 12C shoes in the Tampa, Florida area, which actually fit me. Just today I experienced the futility of shopping for such shoes at Sear’s and Macy’s. Your list is bogus. Danner, Frye, Beans, etc all outsource to China for much of their boot lines. I have been purchasing Dansko’s and just noticed they are made in china so does anyone know of a similar MIA clog style brand? This is fantastic – I can't wait to check out these shoe brands! So happy to see Cydwoq on the list. LOVE their shoes. One more: Schees's. Badass rain/snow boots made in Montana. Added. Thank you for the tip. Have you seen our list of Men’s boots made in the USA? Rilee Shoes! Love the list, nothing better than folks with a love for US quality. Great post! Thanks, I prefer to buy things made in the USA but am shocked at what little selection we have! Is New Balance really the only sneaker????? SAS shoemakers – makes their shoes in San Antonio Texas. ALL of them! SAS Shoemakers most certainly does have a factory in Acuna, Mexico. Only a small number of SAS Shoes are made in the San Antonio factory. Most of their shoes are made in Del Rio; anything requiring hand stitching and lacing is done in Acuna, Mexico. I’m told that Keen shoes are made in the USA. They make hiking shoes, boots, sneakers and sandals. 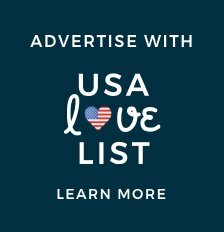 Awesome list of American made shoes! 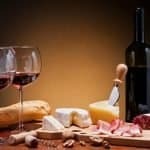 My recent post Why Buy America Made Products? The Vintage Shoe Company is a great USA shoemaker based out of Pennsylvania! I recently purchased some new balance shoes, same style I always purchase, knowing they were made in america. when I got home I was checking out the inside anthe tag said made in china. What is up with that. Not all NEW BALANCE are made in the USA, only select styles..
I’ve been wearing Carolina work boots made in the USA at a union plant in the Commonwealth of Pennsylvania for years. The site I purchase them from has the greatest service imaginable. 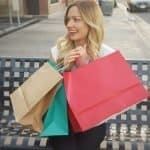 Would love to see a subset of this list showing vegan shoes! oops! I’ve been searching so many sites I just pasted the name of a shoe company in as my site so if you click my name it gets you there! SOM Footwear‘s most recent models are vegan! This list needs to be corrected. Many of the companies make only a small portion of their shoes in the US, yet the post makes the unqualified statement that their shoes are made in the US (Eastland, Redwing, New Balance, etc.). Then I am not the only one who noticed this with sites that say “Made in USA” in big bold letters. I decided I was tired of spending money on cheap shoes that fall apart after a month. This was the first time I specifically started looking for Made in USA products. I was on the HH Brown site looking at shoes under different names. It says at the top in big letters “Made in USA”. I went to see if there were any on sale at other sites and one of the Born styles I looked at had a big old “Made in China” label inside. I went back to investigate further and found a qualifier. Only certain styles are made in the USA. Born shoes are made in Vietnam, China, and Mexico. I learned from this that I must check out the Made in the USA claims carefully before buying, and that finding stuff made here isn’t all that easy anymore. I agree. This post is misleading. You need a qualifier or better description on your post! John, thank you for your feedback. 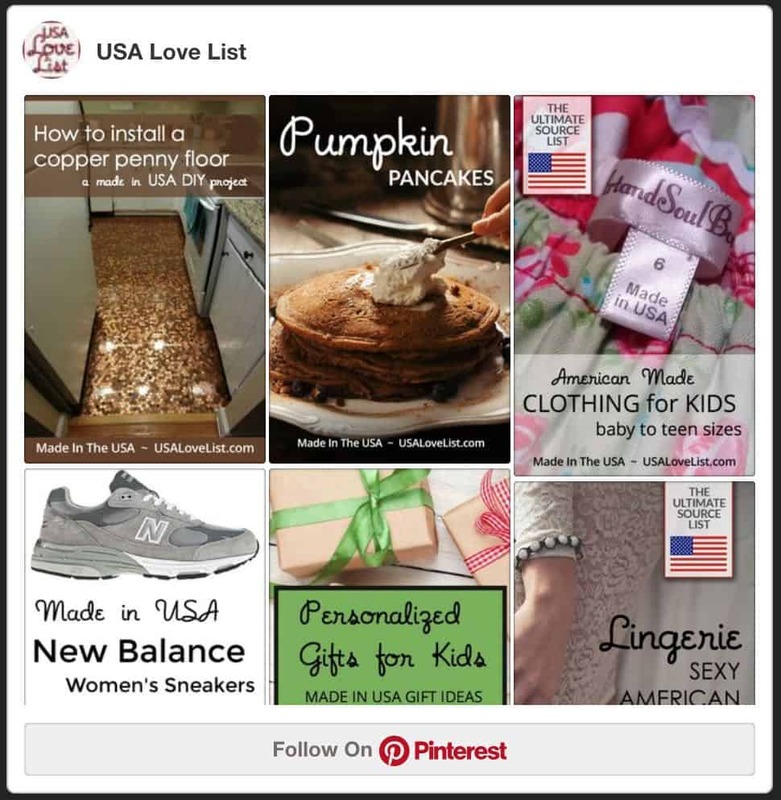 Yes, it’s true that not all these brands produce 100% of their shoewear in the USA, but the list is meant to be a resource or starting point for where to find USA made shoes. Rancourt and Company in Maine makes beautiful mocs and boat shoes. Very high quality. Yes, an updated list is coming! Sense of Motion footwear is a new product that is made in Colorado. Piper Sandals in San Antonio, TX. Awesome! Frye shoes are made in China, probably should take them off the list. I believe Fry has one line still made in the US. I can’t remember which it is though. In the end, I agree, remove them from the list. Minnetonka Moccasin should be added. There was an awesome company called Taos that made handmade Native American moccs in Toas NM. I am fortunate enough to have 3 pair. Unfortunately they could not compete with Minnetonka. They were forced out of business by them. Minnetonka Moccasins are made in the Dominican Republic and China. They were made in the USA in the beginning but just like other big companies they decided to outsource for cheap labor. Frye isn’t even an American owned company anymore. HONG Kong, China. Frye is still an american company, based in NYC. And they have shoes made all over the world but still make a large portion of their key styles in the USA. Where are Frye handbags made? Do they have factories in the USA or do they have someone else make their products under the Frye label? Thank you. I believe Dansko shoes are made in SE Pennsylvania. I’m personally a huge fan of Dansko shoes, but unfortunately, they are not made in the USA. Their headquarters and outlet store are not too far from Philadelphia. They have talked about trying to make a molded Croc-like shoe in the USA and I was glad to hear that they are thinking about where their manufacturing is taking place. Yes, I just got two pair of SAS shoes. So very comfortable. It’d be lovely to see a note on which brands carry wide shoes— us WW folks can’t squeeze our duck feet into every shoe! That’s a minor complaint, though, for a great list. Thanks! I noticed that http://www.donovanslippers.com makes “ballet” flat slippers for men and women. Gateway Shoes LLC has been making our shoes in the USA for over 30 years. We focus on larger runs of specialty (niche) items and offer a wide variety of vegan options. We have stayed clear of retail of several years as the price pressures of Asia have kept it from being profitable. We produce over 200,000 pairs per year. We are direct attached EXPERTS!! We are in Baltimore, MD making “Deer Tracks” comfort footwear for ladies and men’s. Our footwear featuring unsurpassable comfort and comes in variety of sizes and widths ( from M to WW). Our sandals feature cork-latex removable insoles and come in variety of styles and colors to fit a wider foot. Our shoes are approved by PDAC for diabetic patients. We are footwear manufacturer based in Baltimore, MD. We make Deer Tracks comfort footwear for ladies and men. Our shoes feature double density soles, cow lining with DRY FAST fabric. They come in variety of sizes and widths (from M to WW). Shoes are approved by PDAC for diabetic patients. We also make nice selection of sandals for wider foot with removable cork-latex insole in variety of colors. is anything on this list CRUELTY FREE???? Stop supporting products and companies profiting off of the death of animals! There are USA made alternatives that are CRUELTY FREE! New Balance– 1 out of 4 are made or assembled in the US. You probably should take them off the list. Thanks Frank. We’ll keep New Balance on the list even though only 25% of their shoes are made in the USA because that’s 100% more than any other athletic shoe manufacturer. Always read the labels when you buy. Take the time to call customer service and confirm if you are ordering online. Let’s show New Balance how much we value their American-made models so they will make more of them in the future. It is a marketing technique, and Americans fall for it sadly. They consider 70% percent American made to be American made. They are not trying to redefine what American made means to fit their agenda, which is EVEN WORSE than just accepting reality. They never left, huh? Yes they did. They left America, there are no 100% made in USA shoes, 70% is the best you can get, and 3 out of 4 shoes you buy are straight up imported or made with imported materials. Please take New Balance off the list, let them know why they are off the list, and thank you for the great resource to keep these corporations under control. Norridgewock and Skowhegan thank you for your support. Long live the Maine shoemaking industry. Yo “Anonymous”, do you realize that New Balance actually employees American workers? Unlike Nike, Reebok, Adidas and the rest, they actually have created manufacturing jobs for Americans. If other companies would do this, we would not be in the mess we are in now. Take a tour and tell me the shoes they are making in the factories in Massachusetts and Maine weren’t made here. Please be informed when you make comments, because you will be called out on it. I buy New Balance BECAUSE they employ Americans. I am loyal to the brand because of that. I won’t ask what country the shoes you are wearing come from or what kind of car you drive… I can guess…. I also bet you “fell for” Nikes…. They employ zero.zero American factory workers. Congrats! And the shoes that New Balance does make in the USA are made by primarily Dominican immigrants/ migrants at their factory in Lawrence, MA. Not sure what the immigration status of their employees are, but judging by the population of non-native born in Lawrence, it might be questionable. You can not speculate on documented or non-documented workers being employed by US companyies. 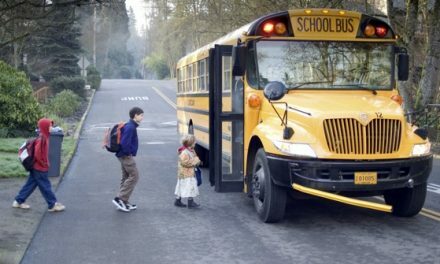 If truth be told MANY US companies use non-documented citizens; some are going through the legal process to become Americans, some are completely illegal, and others have other reasons that are valid and legal. In Central MN there are multiple very large companies that employ illegal immigrants and when ICE raids it’s jokingly called the “Green Card Olympics” because everyone without a green card will flee from the building in any means necessary to be able to stay and care for their families; including jumping out 2 story windows with nothing to break their fall. These are hard working people who strengthen our community; yet whose government won’t allow them to gain freedom by road blocking them from becoming a citizen of the USA. I’ve witnessed families spend upwards of $20,000 to gain citizenship with help of lawyers, and the government they are trying to leave will not give up their citizenship to allow them to become US citizens. I saw that just with Canada, an educated Canadian woman married a young man from America and they did everything correctly, and the country would not allow her citizenship to become dual or relinquished. He had to move to Canada. IF the country does allow it, it typically means being sent back home to work for a set amount of years and some countries will not allow a person to bring their family. Mexico is notorious for this. They CAN NOT bring their family with and only the spouse is able to visit 1 time per year for up to 5 days. I’ve been friends with 2 families who went through this. Both had gone through the process for years and both had babies on the way. 1 was a business owner, and he had to go home for 5 years, the other for 3. Neither was not allowed to see his children and both missed the births. They did everything right. They had immigration lawyers, one spent $15,000+ & the other over $20,000, they did everything asked-to the letter of the law for both countries. This process can take upwards of 4-5 years before a decision is made and in the meantime they live life and work hard; only to be sent back to their former towns. Their family loses their home, and moms become single parents, and their children only know their Dad’s by photos because most places are so remote there is no reception to talk or interact with them daily. Do not judge what these people, who you know nothing about, who are working hard for a better life, what they are doing, or what obstacles they are up against because they may be doing everything possible to become a citizen and that includes working. You’re ONLY question and concern should be, “Is the businesses in question keeping the work in America and supporting our country?” Let ICE do their job; and support American businesses without causing undo speculation on them for your own reasons. Seriously, what are your real intentions here??? Rhetorical question, no need to answer, let’s keep the forum about its intended purpose. Thank you. List of specific models of New Balance Made in America. 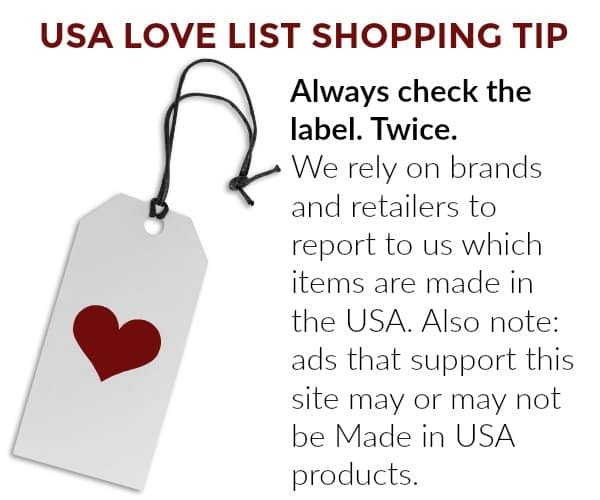 May I suggest that when the list is revised to add words such as “all” or “some” after brand name to clarify if companies’ products are all Made in USA vs select models. Also Keen has a few shoe models Made in USA. Chippewa boots. Made in Chippewa falls, WI. Only some Chipps are U.S made. Others made in China. Gotta check the label, I only buy the U.S made boots.. I believe Rainbow sandals as well as Saltwater sandals make a portion of their shoes in the USA. Unfortunately, Frye sold in 2003 and as someone mentioned most of their shoes are made in China. Some are made in Mexico and a very few in Arkansas but not with the actual Frye machines/molds, etc. Please add Lucchese boots to your list! Made in San Antonio, TX! I LOVE my kiwi sandals. made right here in california. most comfy sandals ever. RUSSELL MOCCASINS, EXPENSIVE BUT FANTASTIC SHOES, BOOTS AND MOCCASINS. Thank you for the great list. Unfortunately, many Red Wing boots (not just their accessory brands) are made in China. Sad. Frye is not american made…its made in mexico..why is it on the list? frye people told me on the phone: “we use factories in china,mexico and usa”. all the while trying to maintain the image of a good ol’ american shoe maker on their website. it’s horse%# my last 3 frye pairs turned out to be made in china. i wonder, did anyone receive a pair of fryes made in usa recently? broken homme is also great american make boot!!! Doesn’t anyone make children’s sneakers in the USA anymore? Does anyone know of any? Thanks. SOIYL shoes – Mexican inspired sandals (huaraches) made in Los Angeles. No. 6 clogs, Sven clogs, and Freshly Picked baby mocks. Danner.com in Portland, OR you can sort by made in the USA. Minnetonka – their website states they originated here but is a little wishy-washy on the language re the manufacturing process. In any case, love their products. Minnetonka is made in China or Dominican Republic. I was just in a moccasin store in Minnesota and couldn’t find on made in the US and there were a lot! Grew up with them a few miles from where I grew up. I purchased a pair without a question and didn’t realize until later they were made in China. Have not been able to find a pair made in USA since. Shame. Found your website and was interested in Donovan Slippers, but when the link is clicked on I get: ‘ flannels4baby ‘ – Perhaps a hint I may have to make my own…?? LOL! My late father ran in track while in high school (The Dalles OR class of 1938). He wore a pair of Wisco shoes. they had cleats in the ball of the sole and a leather upper. Any one heard of this brand and know anything about it? That’s WESCO in Scappoose, Oregon. They primarily make work boots and fashion boots–all USA made. thanks for this list….we review shoes and i was looking for a good list of American made shoes. youre right. theyre tough to come by nowadays. Please elaborate which styles are made in the US. Redwing DOES NOT make all of its models in the US. MY women’s composite toe are now made in China. I was embarrassed I posted this without reading first and it was pointed out. Thanks for your efforts, lets go the extra effort. New Balance needs to be removed from the list. They have “Made In Vietnam”. At least the last two pairs I bought were. I wholeheartedly agree. Last visit to NB store turned up Vietnam, Indonesia, and China on inside. Gluing two pieces manufactured in two different foreign countries is NOT Made In America. Totally agree. Just bought a pair yesterday and found when I got home they were made in China. NB has one or two lines made in America. You have to read the labels, because the others are still made elsewhere. Exactly on the New Balance–check to see if US made or not. Wolverine, Red Wing, and a bunch more of the above have lines made overseas. New Balance is still aces with me. They are the ONLY quality athletic shoe that still has ANYTHING made in the US. Check the websites–they will usually have a MADE IN USA filter. They have one line that is made in the U.S., not all of them are. You need to mention that not all styles of Wolverine Boots are made in the US. I recently bought a pair and was angry to find out that they were made in China. P. W. Minor Shoes, made in upstate New York since 1867. 150 years and four generations later, the Minor family remains true to this commitment. Still crafting shoes in their factory in Batavia, New York. Still engineering and building comfort and precision fit into every pair. You forgot to put Lowa. Made in Slovakia. The last three pairs of frye i purchased were made in china!!! Contacted frye and they were evasive about it. I don’t care, frye, if you call it “put together in china” it’s the same thing as made in china which is what the stamp says. No way in hell should you charge hundreds of dollars for shoes made in China pretending that your shoes are US made! The way they get around it: “Oh, we use factories in Mexico, China and USA.” Frye had gone cheap and became nothing but an advertising ploy. New Balance currently still makes a couple of their shoes in Boston: the 990 being one of them. US consumer buying habits have caused these companies to manufacture oversees. If you see a company manufacturing in the US, then support their efforts. Every product has to show where it’s made. If it’s not made here, don’t buy it. As Americans, we’ve become addicted to cheap crap. You make a very good point about US consumer buying habits. That’s the crux of the matter. Lately I’ve been trying to buy high quality products made in the US but buying way fewer of them, so lists like this are very helpful. Some Chippewas are made in China now. So be careful. I thought ALL Frye were made in USA and then my shoe repairman said some are made in Mexico. I needed him to put rubber non-slips on my FRYE Ballerina Flats and we could not find the imprint usually around the heel area. Well, I finally found it “hidden” up by the big toe area….MADE IN CHINA !!!!! Our company, Scandic Footwear, LLC, makes handcrafted clogs and clog boots in New England. Check us out at http://www.scandicfootwear.com. Please support made in the USA! This brand is launching JULY 4th 2014! American made CHILDREN’S shoes! Don’t Forget Okabashi, sister company to Oka-B here in Buford, Georgia! I can’t believe I forgot to mention, they are not only made here in the USA but also recyclable and made using recycled materials! Hello, you are forgetting a shiny “star” literally. Soft Star Shoes. 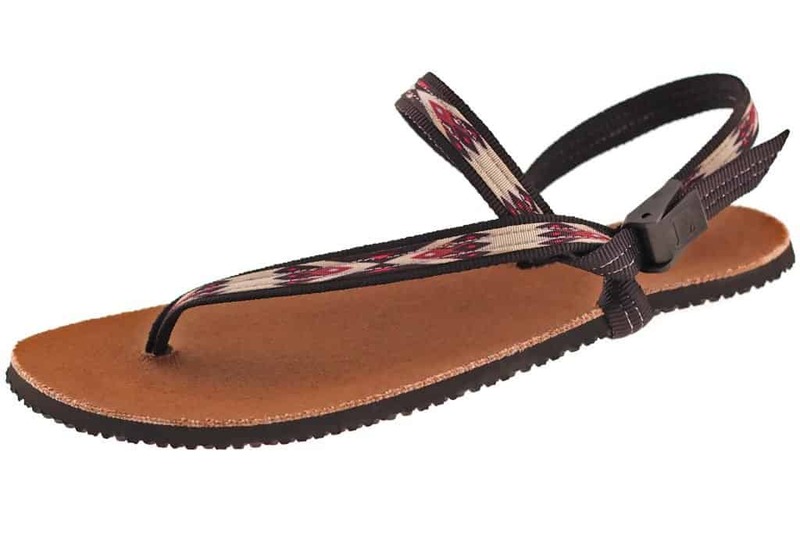 Made in Oregon of only USA-made materials, super Eco friendly, includes moccasins, running shoes, slippers, and boots. You can delete my post above. I found them — they’re minimalist running shoes, which are pretty cool. No traditional-type running shoes, but at least the made-in-USA ones won’t be falling apart in two weeks like the slave-market foreign-made brands. Wow — this is a seriously comprehensive list! Thanks for sharing! There are so many American-made shoe brands that I never knew where out there. It’s good to learn something new! Jill, check out Scandic Footwear in NH. They handmake incredible clogs! Please don’t forget G.H. Bass shoes. While some are now made abroad, the Bass Weejun loafers (Penny and Tassel) are still made by hand in Wilton, ME. They were my favorites in college (many, many years ago) and have stood the test of time, both in fashion and wear. Look for the 990 and 993 series shoes. Those are made in the USA. This is an awesome list! I’m so happy to say that I see most of the brands that are in my closet now on it. American Apparel makes a wide selection of shoes in the USA. Including tennis shoes for men and women. Lots of women’s styles. Look for the little American flags on the items on their website. I noticed no mention of Justin boots made in Texas. Not anymore. Little Chinese kids make your Justin boots now. Not all of New Balance shoes are made here. Look for the 990 and 993 series shoes; those are made in the USA. The link in this post directs you to the models that are made here. Sydney Brown shoes are 100% made in Los Angeles, USA! I really like Quoddy Footwear. They make boat shoes, moccasins, boots, and the like in Maine. http://www.quoddy.com. Regarding New Balance, their website shows their “USA collection”. The 993’s are fantastic – high American content – way more than any other sneaker manufacturer – exceptional durability. Pardon me, but this list is outdated. Wolverines are 100% imported from china these days. This list is a great starting point. I would also love to see Sven Clogs added to the list. I’m always looking for U.S.A. PRODUCTS. However, when you find one you have to pay an arm and a leg for it. Looked at some moccasins and the “cheap” pair start at $159.99. With tax and shipping I’m near $200.00 for very little material and it’s made in “no sane person wants to live” Minnesota. Where you buy a mansion for $20,000.00. Yet they rob you. What I am finding is that these “made in America” are jacking up the prices and are living large under the guise that they are doing it for Americans. One boot was $500.00 and it was a plain old boot. No one and I mean no one is doing what they do because they love America. Alright, maybe a few, but come on people we should get quality boots for under a $100.00. And if you want to stop it, things being made in China and the like, well talk to your self employed neighbor that owns the painting business and only hires foreigners. You have to overhaul the whole judicial system, get rid of these judges and then work on politicians. You, kind of , have to go a little extreme with some of the candidates. Other wise those foreign countries are laughing at us. God Bless and stay well. Frye is no longer made in America. Li & Fung bought the company in 2010, a Hong Kong company and now they are made in China. Maybe this list needs to be researched better. One great company to follow is LASCO- Los Angeles Shoe Company!!!!!!!!! and http://liveola.com/ a side brand of Lasco. I own the flipflops and they are comfortable!!! Jack Rogers Navajo Sandals are my favorite. I have a pair of hot pink and white ones that have got to be seven or eight year old. They just never wear out! All the best, and we hope to hear from you! Russell Mocassins are still made in Wisconsin. I am a shoe designer and I am looking for a sandal factory in the US. I’d like to ask you if you have any recommendations. Just left redwing store most boots made in China a few still made in usa not many. This country is in bad shape when you can’t find american made on any store shelves. I didn’t see the United Shoes of America on here. They have super cute shoes for kiddos! You can’t buy them through the site, but they are some on Nordstrom. I use 10- 1/2 wide shoe , hard to get. P.W. Minor Shoes will be bringing their manufacturing back to Batavia, NY in the months ahead. They specialize in extra-depth, orthopedic shoes, standard fit, half sizes, and wide widths! We have been working and researching advanced composite (carbon fiber and Kevlar) orthotic systems for the US Department of Defense and have had the privilege to work with the Crary Shoe Company of Portland Oregon. They custom built some of our boots in the good ole’ USA. The rewarding part was the good experience working with Bill Crary the owner and the son of Bill Danner of Danner Boots before it was sold to ABC Mart of Japan. If you want to view the research results on safer American made combat boots with the advanced orthotics for our soldiers follow the link. This could border on spam or on higher education,,your choice. Some Justin cowboy boots and all of Tony Lama boots are made in America. Others are: OluKai which are made in Hawaii. 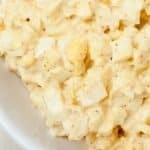 I’m glad I found this list! I’m sure most everyone has heard of a few of these companies, but so many I haven’t, and I want to check them out, each one!!! 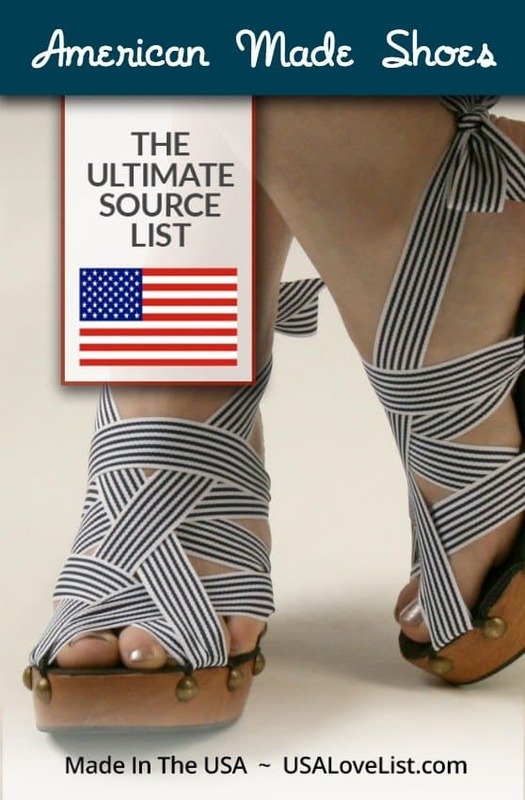 This is a super list and wonderful selection of American made shoes. My daughter looks for American Made Vegan shoes. Always, always ranting on about this subject. New pair of NBs coming my way today because of this site. Didn’t know – thought they were Chinese. Aurora Shoes are made in Aurora, New York. I was looking through your list while at the stores. Wolverine, new balance and many more of some of the listed companies are AOL tagged made in china, Indonesia, Vietnam and other such places. I have been extensively looking for American made apparel and footwear. It is near impossible to find anymore. I was under the impression that Merrel and Columbia were also of U.S. origin, I was again disgruntled to find otherwise. It is becoming so overwhelming to have to do so much research and investigation to find things made here. It’s disgusting to find all of our favorite things not local and or American anymore. I was actually disgusted with a retail company recently who proclaims they support American made products yet a hat I was very interested in, that actually had a slogan saying ” American Pride ” , yet the tag says made in china. THAT DISGUSTED ME! You would think store owners who proclaim supporting American products would at least work on seeing that their products that insinuate American industry are actually made in an American facility. Just ranting on the loss of American jobs and products, the reason we are becoming an aggressive society. What a terrific list to see. I know several people that I will send this list to. I love shoes and love this list! Where is the mention of Quoddy of Maine? There are also very small Mom and Pop businesses that make shoes. A friend’s father was a cobbler and our friend took over the business but had to close up due to people buying cheap shoes that when a sole or a heel went it was cheaper too replace the shoes than have them fixed as they used to . Years ago there was a shoe repair shop in every small town and many of them in larger towns. Now try finding one! I have been looking for a great place to make me a custom fit knee high, high heeled, boot, that I can wear both in the office and on my Harley, I have a very narrow foot and thin short legs any suggestions? Yes, I don’t see Svens. But, not Wisconsin – they’re from Minnesota. Tic Tac Toes are made in Gloversville, NY. I am quite fond of them. New Balance is not 100% made in america, as they claim. This link is a list of the specific New Balance shoes that are Made in America. Hello. I’m trying to find shoe manufacturers who make larger size men’s shoes. I’m not referring to those who suffer from infliction where their feet are larger than normal or for basketballs players. In my case, this is my situation. I used to wear 10.5 3E. Now that size is pinching my feet. I buy my clothes through the Haband company in PA. They do sell larger size shoes. I have been able to buy 2X wide 10.5 4E. But they only sell sneakers in that size. I’d like to purchase dress or casual shoes. Does anyone know where I can buy the shoe size I mentioned above that won’t cost me an arm and a leg? Thank you. There is another company that I think should be included: Be Real Shoes. 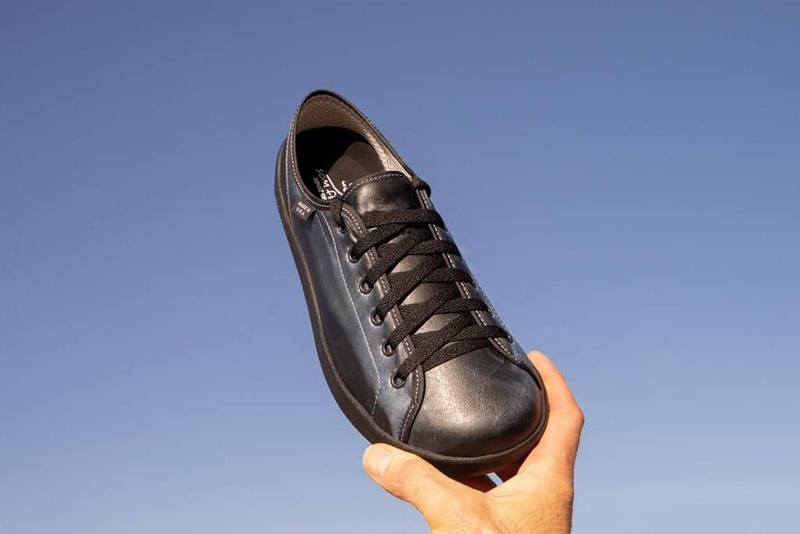 Minimalist shoes made in USA ! The black striped sandals in the picture are adorable. Who makes them? Sven clogs are made in Minnesota. J. W. Russell, custom-fitted, made to order boots, moccasins, and shoes, made in Michigan. Please add my shoes to your list. I hand craft custom wool shoes. I am the first maker of 100% USA made Wet Felted Wool boots. They are seamless boots that are made by sculpting the wool to conform to my customer’s foot and they look like a classic hiking boot. I use only US raised wool, a Vibram sole manufactured in Massachusetts, even my cobbler’s glue and grommets are made in the USA! Wool is naturally antimicrobial, flame retardant, durable and because the footbed is part of the seamless shoe it naturally molds to the shape of the foot, providing perfect arch support. Oh, I forgot to mention where you can find them. Find me on facebook at http://www.facebook.com/WoolEnvy or on Etsy at Etsy.com/WoolEnvy. Coming soon – children’s wool shoes. I also teach people who to make their own custom wet felted shoes for those of you who are dying for an exact custom fit. All the Athena Alexander shoes available from the link here are listed on the Nordstrom site (the destination of the link) as “imported.” Just purchased three pairs of Athena Alexanders from Amazon & every single pair was made in China, despite info on their Amazon page saying they make all their shoes from Italian materials in California. I don’t know where the “imported” ones on the Nordstrom site are made, as I’m not going to make the mistake of ordering online again and there was no further info on their site. Well that’s frustrating! Thanks for letting us know. We’ll see what we can find out. I have not heard of many of these brands. I am glad to know about Made in the USA shoes and I can look for these now. Truman Boot company. Recently moved to Boulder, CO. Have been making boots in the USA for several years. California Magdesians Is this company even still in existence? Your link goes to Amazon which are clearance shoes. They used to be sold by other retailers. Someone else has mentioned Carson Footwear, a small company making minimalist running shoes in Oregon. I would like to add that I have been running in the Carson Black-Ops shoe for a couple of weeks, and it is a superbly built and very comfortable shoe. Filson has boots made in USA. I am Emmanuel from Ghana,i am a professional shoe maker seeking for a job in you reputable company. I haven’t heard of a lot of these brands. Totally didn’t know that so many of them were still made in the USA! Love it! Thank you for the list. As some have stated, only some of New Balance styles are made in the USA. You need to check the country of origin. I need to check into the SOM sneakers for hard to fit feet. I’m diabetic, so I need wider shoes that fit reall comfortably & won’t irritate my feet. The shoes I found were all marked “imported.” That does not sound to me like Made in the US! Please add Wassookeag Moccasins to your list, we make 100% Leather, 100% Handcrafted, 100% Made in America Moccasins. Buffalo Hide, Bull Hide and Cowhide Hand Made Moccasins for both Men and Women. 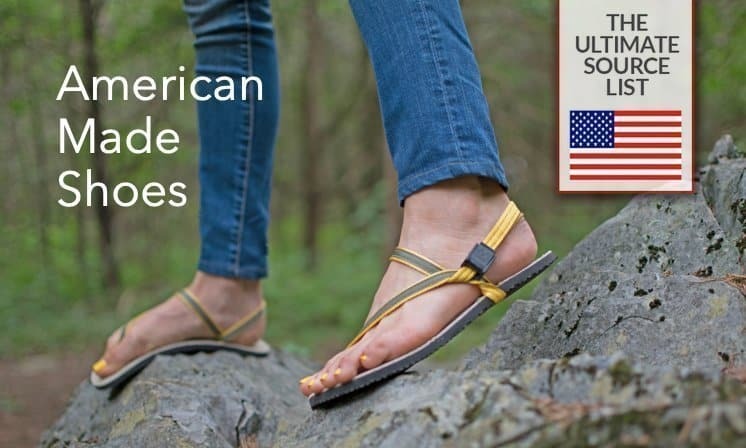 The people at platformsforchange.com just announced a June 8, 2017 Kickstarter launch for their convertible platform sandals—and their top stated values are American made and reducing waste. You missed Orvis shoes and boots. They offer both USA-made and imported shoes, but their camp mocs are made in Tipton, MO. Merrell has just started producing hiking boots made in Michigan – the model is called Magano. In reading the comments sections – many first time readers are baffled by what is made in the USA and what is not. There are really very few shoe manufacturers that all the material is all made in the USA and assembled in the US. I feel that assembled in the US is more important than where the materials come from. If you revise, you can add Mark Albert boots. They are amazing and made in the USA. And new styles are being added. Does anyone have a list of vegan shoes made in US? Do any of those outfits make women’s shoes that are wide? It is an issue for me. Each time I go shopping for shoes all I get is aggravation, because I cannot get into shoes because I have wide feet, and no one bothers to make wide shoes. I have reached the point where I live in Crocs in summer and Ugg boots in winter. I would love to be able to wear nice shoes. Why do shoemakers treat me as if I do not exist? I love the quality of leather sandals made by American manufacturers. Nice list, but everything from all of these companies is insanely overpriced. I guess I’ll have to stick to Chinese apparel. Wow! In the end I got a web site from where I be capable of really get valuable facts concerning my study and knowledge. i’m looking for shoes for my 5yr. old grandson that are made in America suggestions please. 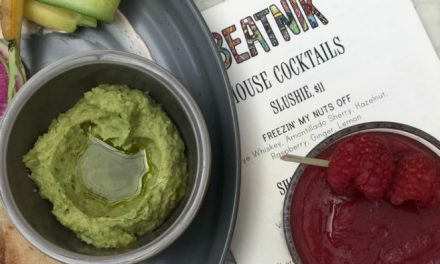 Your list includes several brands made at the Cove Shoe Factory by the union women of Martensburg, PA: Vintage Shoe, Walk Over, and Carolina; however, you kinda missed the two most important brands Corcoran and Matterhorn. The Corcoran 1500 “original” jump boot is the best thing I have ever bought. Chacos are not made in Rockford Michigan ,I live there, wolverine world wide does not make any shoe in Rockford Michigan or the United States. Frye has been a fave of mine for years! This is an amazing list! Thanks for all the work put into this! Pilgrim Shoes in Maryland make almost all of their shoes in the good old USA except for just a couple styles that are made in Portugal, but no shoes made in China. The shoes are mostly extra-depth style with removal insoles and available in 3 widths which are designed for diabetics and people with foot issues (ie. hammertoes and bunions) with most models approved for insurance reimbursement for diabetics. Almost all available insurance approved therapeutic shoes are made in China, so these are a good option for people wanting to “buy American”. Cole Hann still makes some of their shoes in Maine. Looking for American Made Youth Tennis shoes. Are PF Flyers American Made? Those Chelsea Boots are so cute! Certainty is the way to walk that appreciates you of individuals. With awkward or loner match of shoes you can’t anticipate that it from yourself will have that immaculate walk. Your adjacent ladies footwear stores are brimming with most recent outlines that are cool as well as ultra-agreeable as well. It is conceivable that you go there for a couple of sets and return with 8-9 sets. Looking for a nice pair of Ladies Footwear stores? Now you can grab your favorite pair easily. Los Angeles being a hub for shopaholics, you can get wide range of Footwear and much more in all the malls. Check out the malls today and update your wardrobe. I have seen the earth runner pairs and always envy them when I spot them. I would love them for when I lounge around the garden, of course after I do all my weeding in my garden boots.